Recently during a visit and exploration of the Barossa Valley in South Australia, I had the opportunity to sit down for a short chat with Margaret Lehmann at her home. She is one of Barossa’s food and wine pioneers, a champion of its preservation and was an integral part of the growth of Peter Lehmann Wines. Conversation invariably was about food and wine – over a glass of Semillon from Peter Lehmann appropriately called “Margaret”. With wine, one can explore in depth many facets of this always evolving industry – and we talked about recent preservation of the Barossa and what makes it unique, its history and Margaret’s passion for food. With mutual friends in the Napa Valley, we also compared and contrasted both wine regions. Visionary, Peter Lehmann founded Peter Lehmann Winery in 1980. Peter was born locally in the small town of Angaston and was fifth generation Barossan (he passed on on 2013). 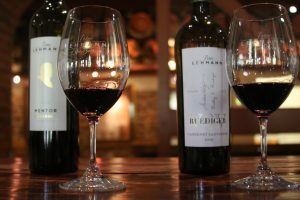 He spent time working at two historic area wineries before branching out on his own – he didn’t start Peter Lehmann Wines until he was almost 50 (starting wineries at an older age is not an uncommon story in the wine industry). While no longer majority owned by the Lehmanns’ (The Hess Family currently owns the winery and brand) they continue to be one of Barossa’s most respected wineries. The winery itself is located on the edge of the North Para River in Tanunda. The cellar door is in an old stone winery that dates back to the 1880′s. A huge variety of wines are available for tasting – let the staff know what types of wines you are interested in and they can tailor the tasting for your palate. Peter Lehmann was one of the early Barossa wineries to offer locally sourced products at their cellar door (certainly Margaret’s influence) – their onsite cafe serves local produce. Private tastings can be arranged by prior appointment. The Williamson Act (Editor’s note: this was enacted in the Napa Valley in 1968 to preserve agriculture and limit urban growth) cannot specifically be adopted here because of the local level of taxes – not high enough for it to make an appreciable difference like it has in California. But we studied this act extensively – a man who is now the Tourism Minister in the state Government, Leon Bignell, was over there in 2010 (Napa Valley) studying the impact of the Williamson Act. He was in Napa when Peter and I were last there. And he came back inspired and out of that flowed an act called the Character Preservation Act for the Barossa and one for McLaren Vale – because McLaren Vale is another great wine region (it is a good hour and a half from the Barossa). We worked very closely together – that is to protect the agricultural base of both these regions within the declared zone and including the town boundaries which tend to creep outwards. In the past these could be changed by the council or local government and they would take it up to the minister at the state level and then they would sign off. But now any changes in the designated boundaries has to go before Parliament. The base of the power from which change occurs has been broadened. This act refers to any change in land use from rural to residential and alteration of the boundaries that have been accepted within the legislation (they are the existing town boundaries). It is a constant battle – it is a challenge to keep particularly in a climate of such extreme (referring to the Barossa’s weather, lack of rain, extreme heat at times, etc). I have to say that was a very proud moment for me when it was signed off on my birthday in 2012. But it gets reviewed in 5 years and five years passes by very quickly with these sorts of things. 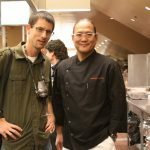 So, I think these is a very strong connection with Napa and the Barossa – and I think we can learn from each other. We have what I call the up and coming generation who are in their 20’s, 30’s and 40’s. I can say that because I am much older! They are really switched on. And the other thing is because so many people are 4th, 5th, 6th generation, coming up 7th generation – before the Barossa had been primarily a grape producing region – vignerons sold to wineries. And gradually the kids either are going to keep going as is or are going to seize control of their own vineyards. So there has been a proliferation of smaller producers – vigneron kids making wine under their own name. But I think the most important thing we’ve always had in the Barossa has been a tradition of talking together and working together. 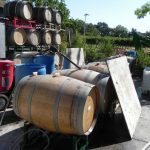 There will be vignerons that lend each other equipment – winemakers help each other out. A philosophy of sharing. Its a network. We’ve got a support system from within. There is quite a bit of internal inspection and criticism. The winemakers are very active – they run the Grape Growers Association and have done a really a good job considering its balancing of vineyard interests and winery interests – from very big to very small – it sort of makes the secretary General of the United Nations job look like a walk in the park! Because I was born outside the Barossa, Peter was born in the Barossa and sometimes somebody coming in from the outside can analyze and see what is really precious… And one of the things is that the Barossa has always been mixed farming because they were good Silesian peasants who settled here – Lutheran but German speaking. And so you have your orchard, you had your farms, you had your cows and various cropping. And you never ever put all your eggs in one basket. And that is why a traditional Barossa Vineyard is never ever a mono varietal. 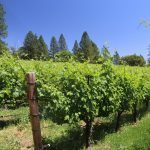 Because of these swings and round abouts about which varietals become more popular – we have small plots – what we call a tapestry of vineyards, distinct from large acreage properties. So there is always the danger if you have monoculture in an agricultural region – and also I happen to like my stomach and also I think one of the joys of living in a smaller area is knowing the hands that have been in your food. What hands have grown the food, what hands have processed your food, what hands have been touching the food that you put in your plate. So your own hands from your garden – or from the farmer’s market and it is not the huge mega processing. And meanwhile it gives us protection (referring to the diversity of agriculture in the region) and also you are in touch with the food. And we are seeing the growth of some rather small food producers and growers and value added products. I’ve always said, its really nice to know where your food comes from. I think if you paint a picture of wines – you get a glass and it should be three dimensional – so if you say Tuscany you see the landscape, you see the food and you see the wine. But as a whole. And you see the people. It is the resonance of that imagery in all those important parts. 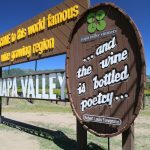 Napa has achieved it remarkably well – and we are much smaller of course, smaller population – you have San Francisco – here everything is on a smaller scale. But the Barossa is getting there. Touring Australia’s Barossa Valley Napa Valley – November 2008 Touring Napa Valley: Tasting wine where it’s made What a night, “Appellation Tasting” – Flavor Napa Valley Wrapping up Harvest Napa Valley! so glad U2 could get together. beautifully done, both of you, to capture the breath of our industry. 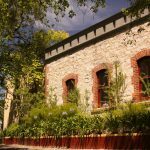 we love the barossa, margaret and family in particular, and have watched BV grow over the long, many years and happy to see how special the area has flourished. margaret’s interest in preserving this area goes back many years when the industry was so small. She is very instrumental in pushing for preservation of the land she loves. she has tremendous insight, brains and love for the land. A large amount of credit for Margaret putting the “bee in the bonnet” on land preservation. She is powerful and just the best!! Her love runs deep! thanks Sandi – a visit with Margaret and to the Barossa has given me some nice perspective on the Napa Valley – and help further understand the similarities and differences between the two regions. Thanks again for helping make the introduction!